CBS Films has released the first poster for the upcoming biopic based on the legendary painter Vincent Van Gogh, At Eternity’s Gate, which can be viewed in full below! Writer-director Julius Schnabel, whose 2007 biopic The Diving Bell and the Butterfly was nominated for four Academy Awards including Best Director, is bringing to life a journey inside the world and mind of a person who, despite skepticism, ridicule and illness, created some of the world’s most beloved and stunning works of art. It will not be a typical forensic biography, but rather scenes based on Vincent van Gogh’s (Academy-Award Nominee Willem Dafoe, Murder on the Orient Express) letters, common agreement about events in his life that present as facts, hearsay, and moments that are just plain invented. Dafoe is joined by an all-star ensemble cast that includes Oscar Isaac (Star Wars: The Last Jedi, Operation Finale) as fellow visionary Paul Gauguin, who recently had his life adapted in to a biopic starring Vincent Cassel, as well as Rupert Friend (Homeland, The Death of Stalin), Mads Mikkelsen (Doctor Strange, Rogue One: A Star Wars Story), Mathieu Amalric (The Grand Budapest Hotel, Quantum of Solace) and Emmanuelle Seigner (The Diving Bell and the Butterfly). 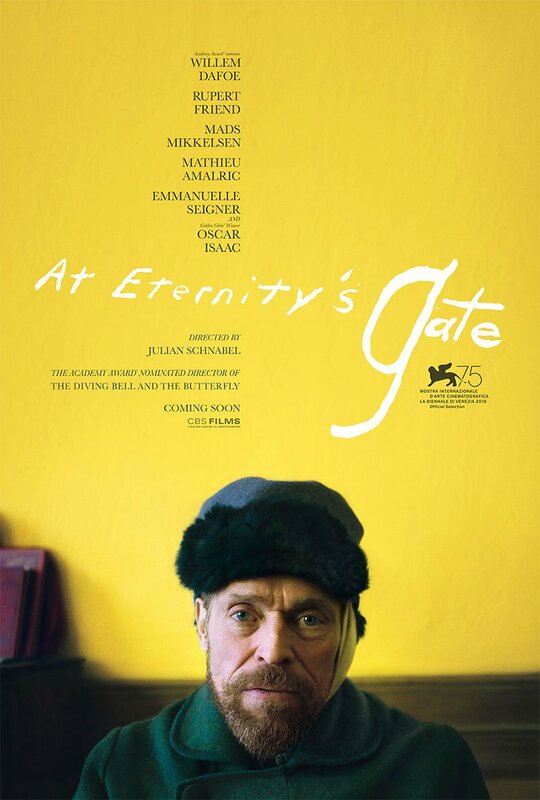 At Eternity’s Gate recently premiered at the Venice Film Festival and has opened to very positive reviews from critics, currently holding an 86% fresh rating from critics on Rotten Tomatoes based on seven reviews. The film is set to hit theaters on November 16. 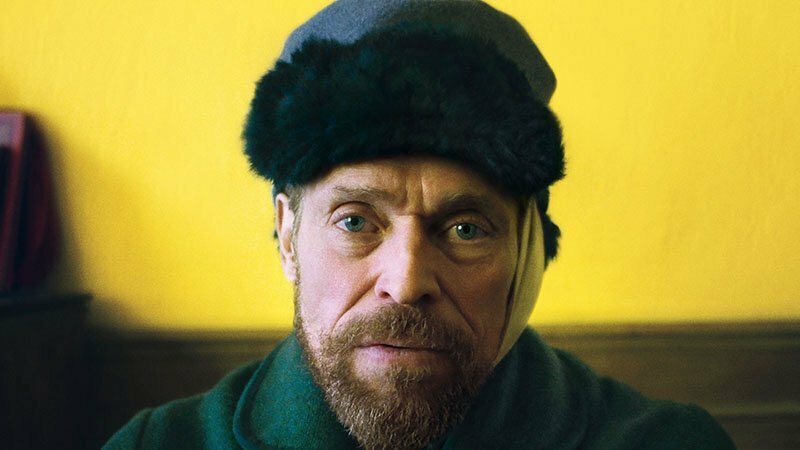 The post At Eternity’s Gate Poster Reveals Willem Dafoe as Vincent Van Gogh appeared first on ComingSoon.net.